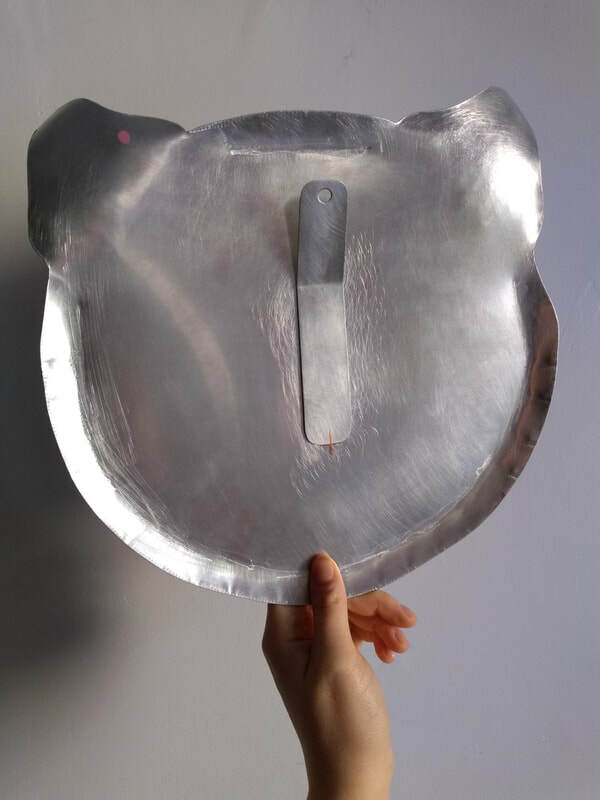 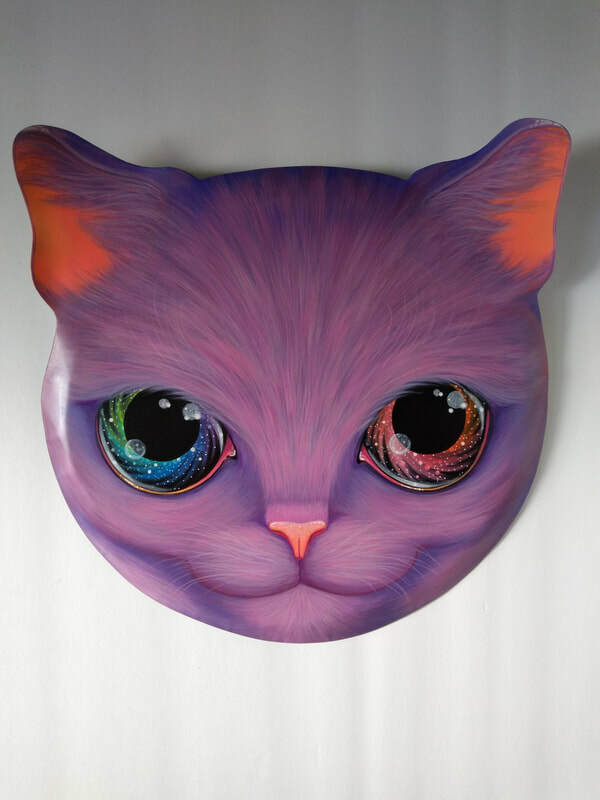 Reclaimed .032 aluminum is hand cut and hand hammered into a gorgeous and whimsical cat face shape. 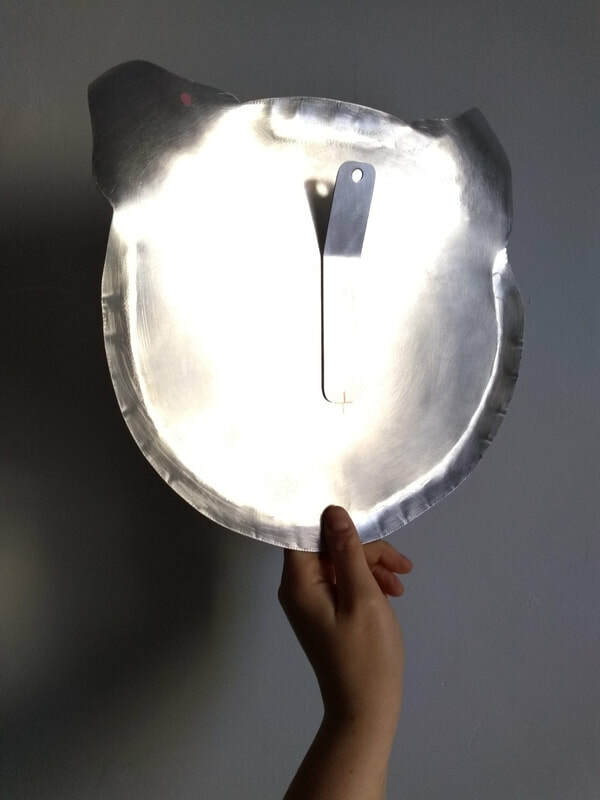 Ready to hang from a firmly attached aluminum clip. 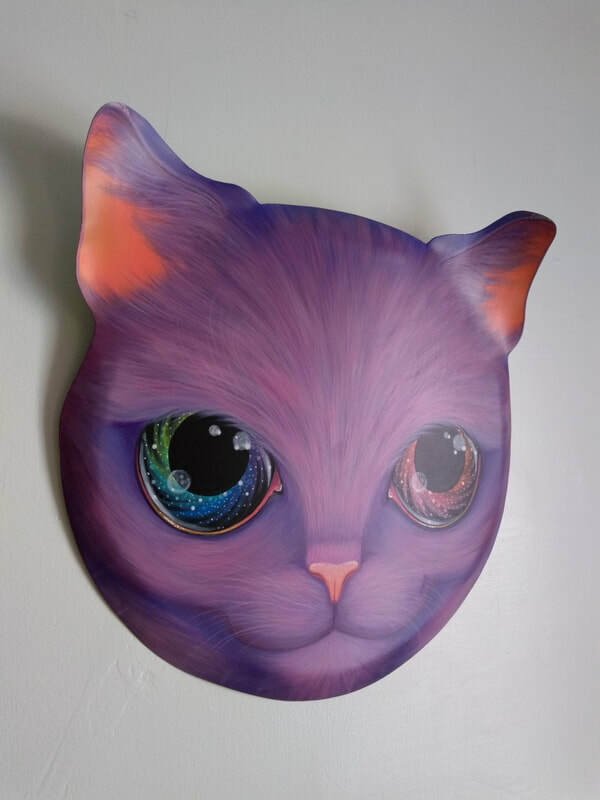 Completely hand painted and one of a kind. 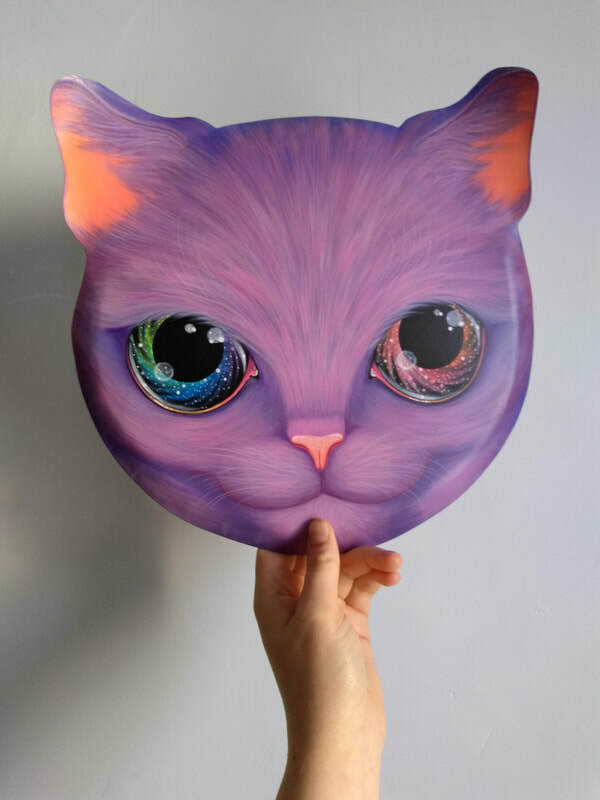 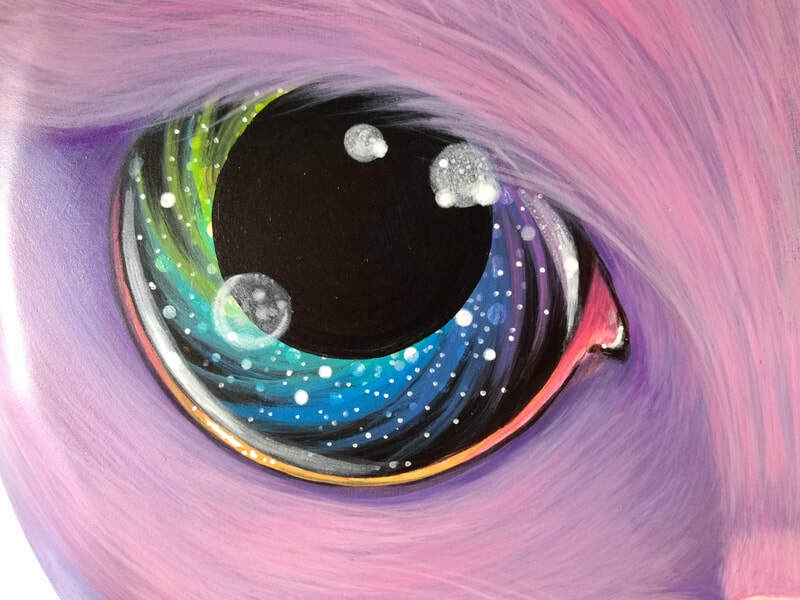 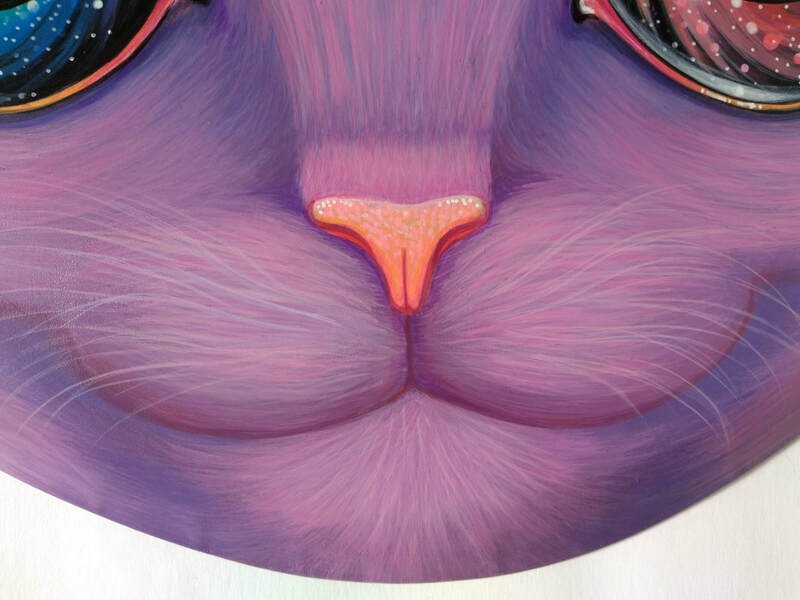 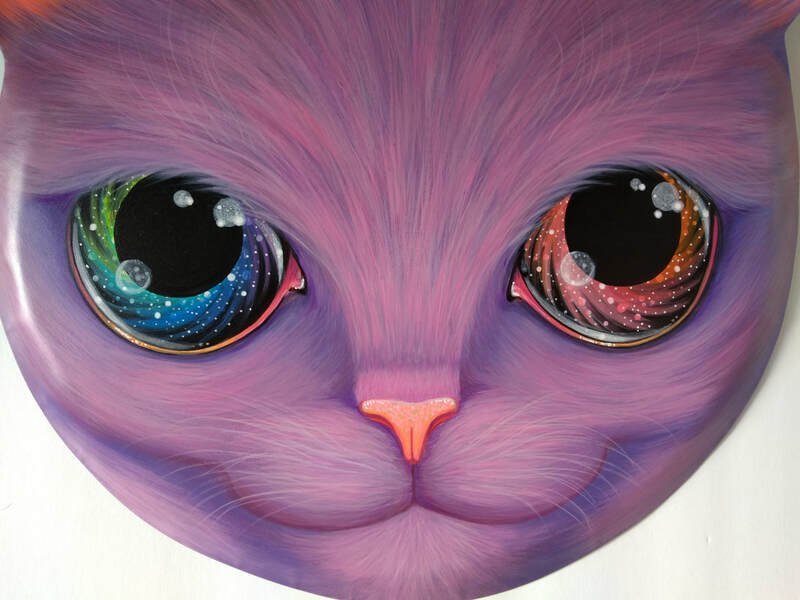 This cheeky cat has bright purple fur and beautiful rainbow galaxy eyes that swirl into their dark pupils. 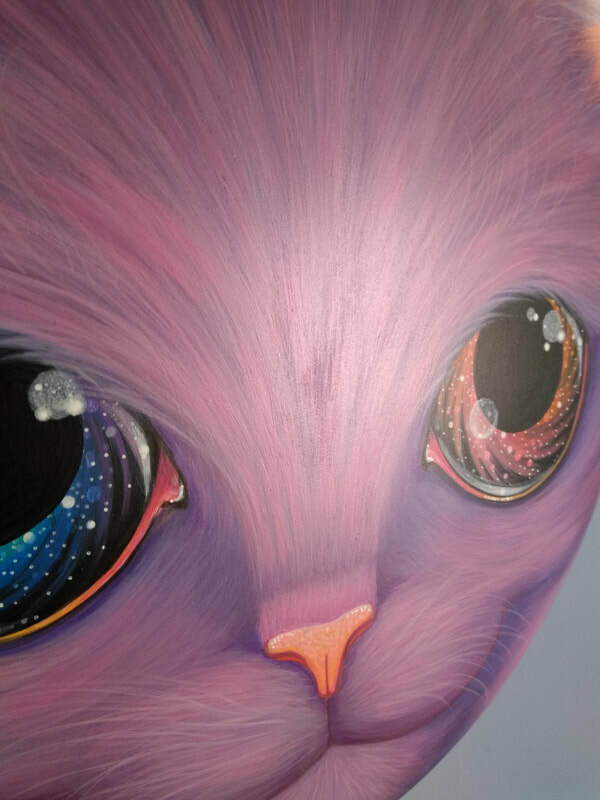 Fluorescent peachy pink was used for the ears and nose, and the entire face is enhanced with subtle hand-painted fur and whisker details. 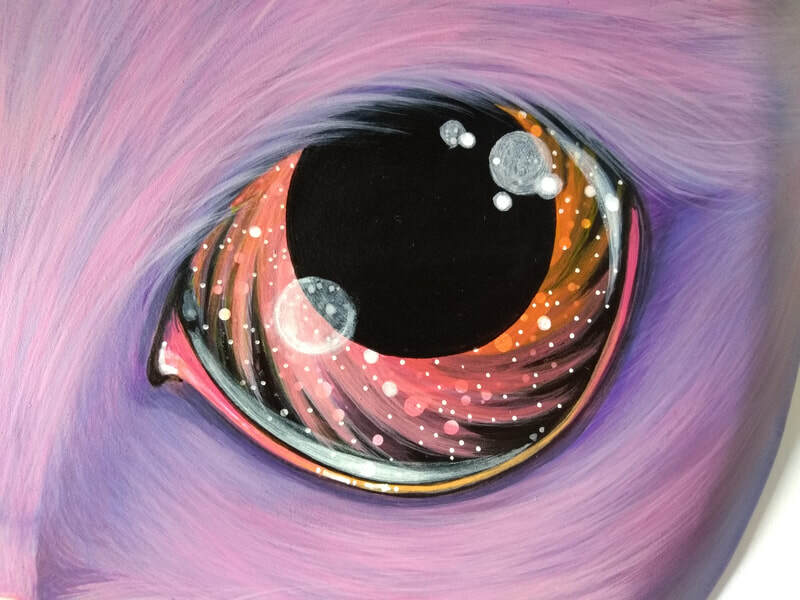 This celestial kitty is entirely unique!